Long bench seat – rusted tubular steel frame coated to seal and protect from further rusting. 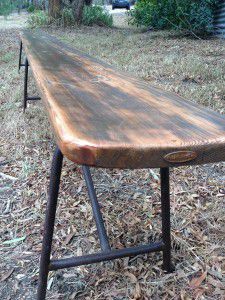 Reclaimed oregon timber seat. 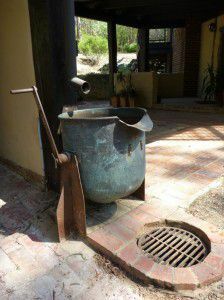 Vintage rustic iron bath, with detailed claw feet. 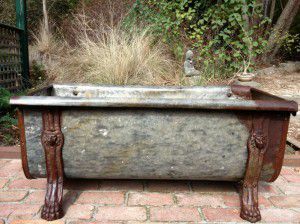 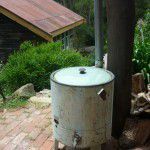 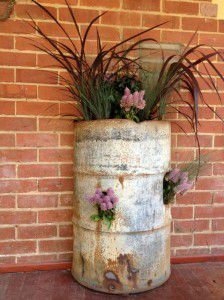 Antique rusted petina with protective coating to prevent further rust deterioration. 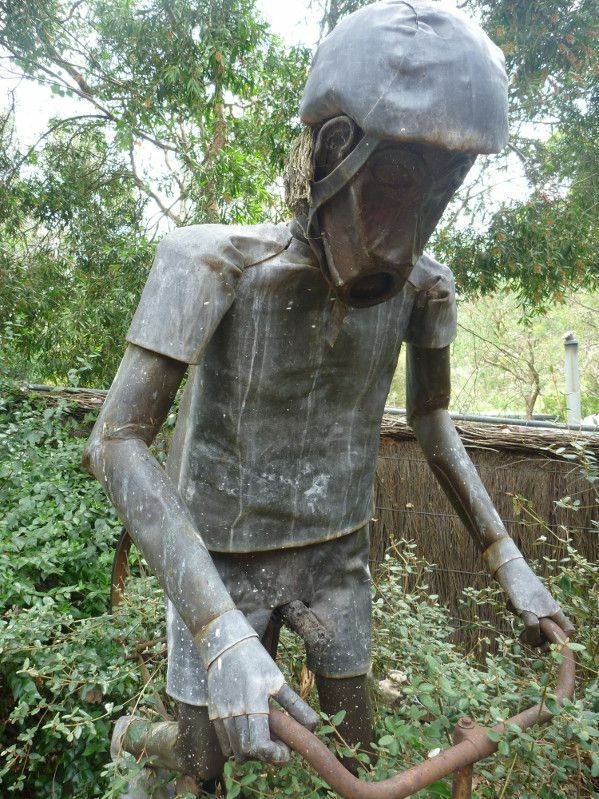 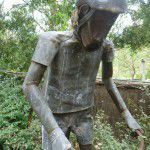 Lead and copper garden art sculpture – man on bicycle. 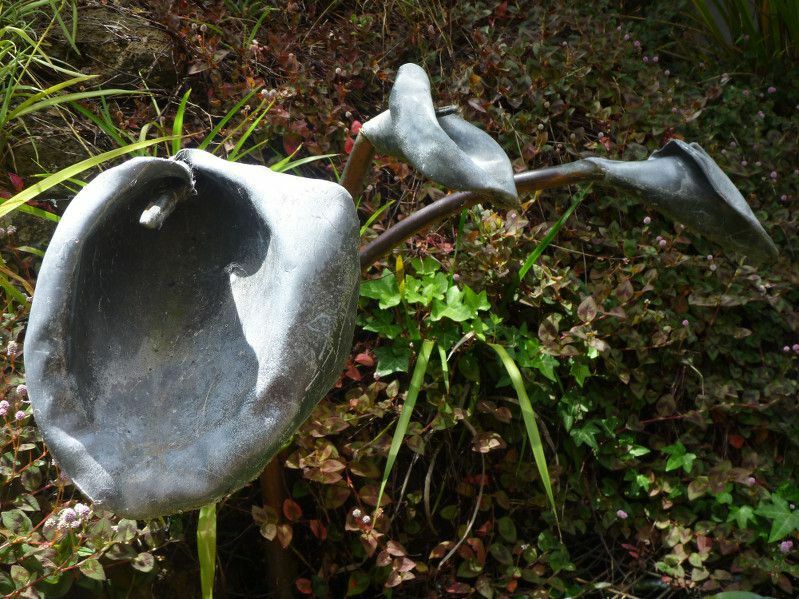 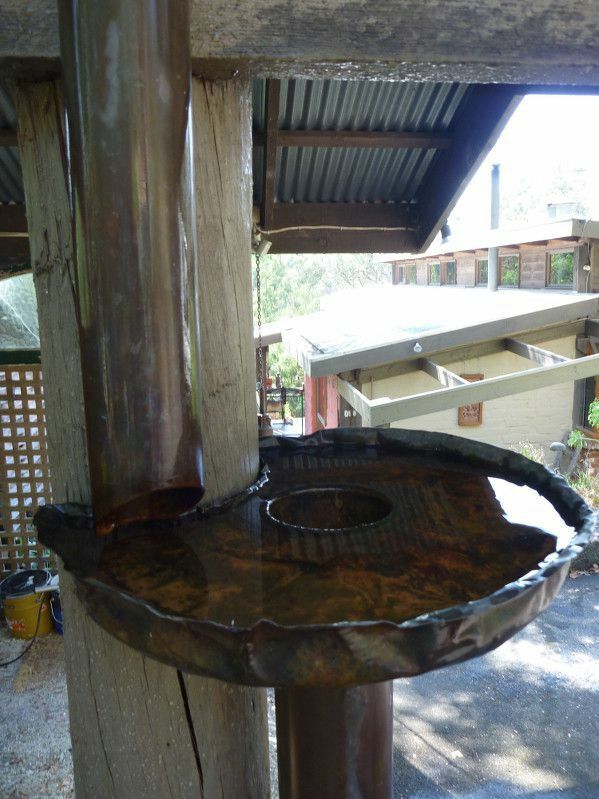 Handcrafted water feature created using copper and lead. 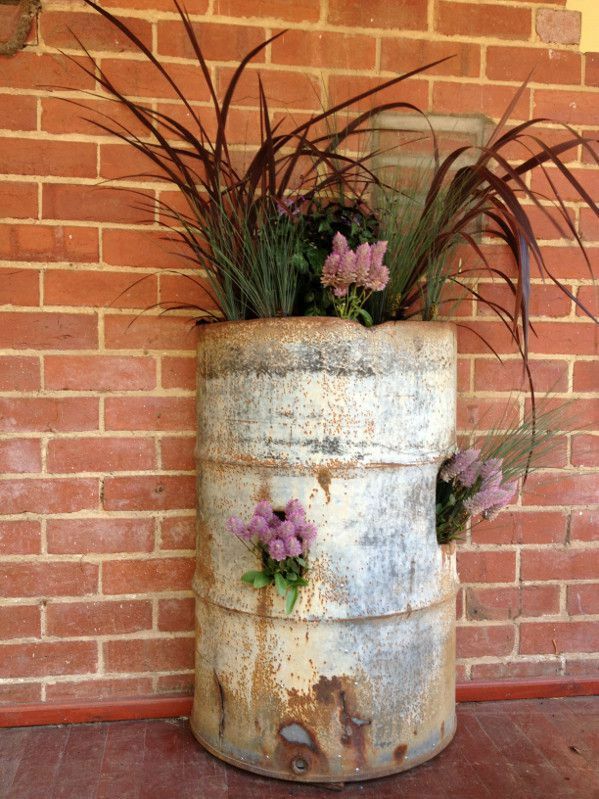 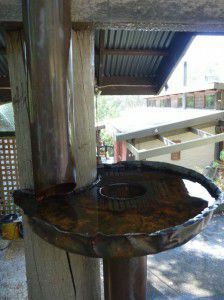 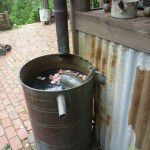 Copper drum water feature, catching run-off from down pipe with overflow in to feature storm water pit. Water feature collecting copper down pipe run-off. 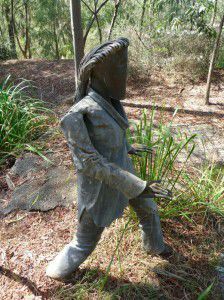 Lead garden sculpture of a woman doing Tai Chi.